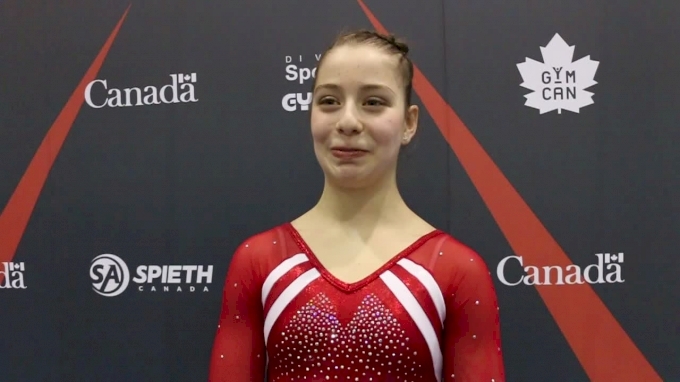 Ana Padurariu talks about competing in the all-around at her first meet of 2019. We also broke the news to her on camera that she won gold! Watch her sweet and genuine reaction in the interview.